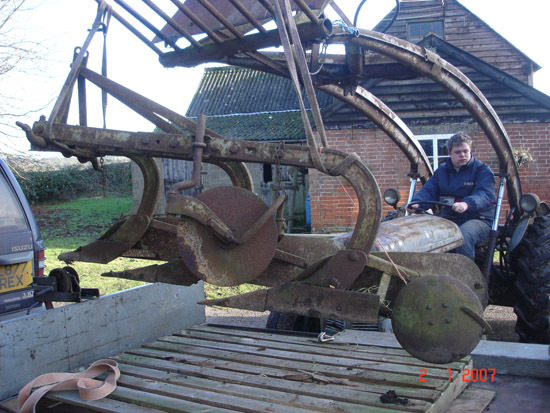 This is the first Ferguson implement purchased, for use with our original Fordson Super Dexta. Turning a 16" furrow, it was designed for when the ground was too heavy going for the 2 furrow plough, or for reclaiming grassland. It is in good original condition. 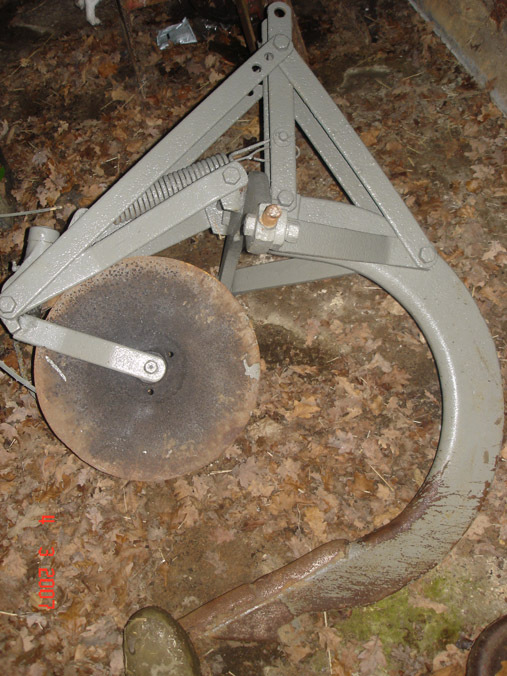 This plough was purchased from a good friend, who used it behind his MF135 for ploughing his garden. It is in overall good condition and the metal is excellent. Currently the tail wheel is stuck in the upper most position, and the cross shaft needs freeing off. 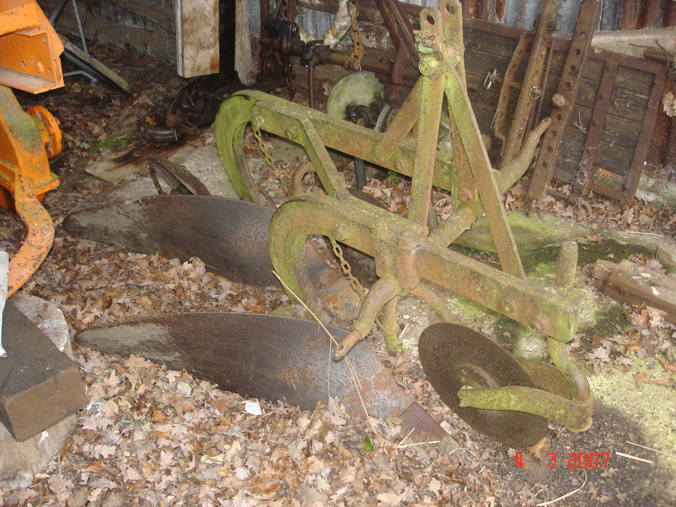 A set of original skimmers were recently purchased for the plough but have not yet been fitted. Click here for ploughing photographs. 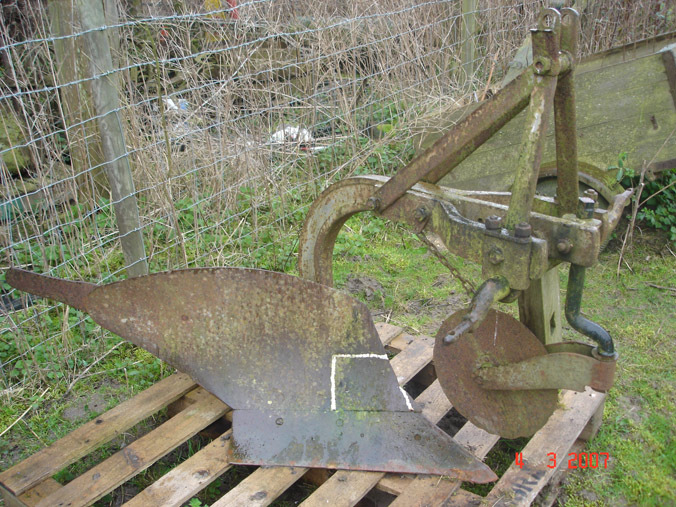 I was given this plough by a retired farm worker to be used for spares for another plough. However the decision was made not to break it as it is a later MF plough, butis badged as Ferguson. It is believed that this is one of the last ploughs to be badged as Ferguson, and as such the decision has been made to keep it and restore it. It is reasonable condition, although requires new metal throughout. This is one of my most recent purchases, and came from a local horse-drawn machinery enthusiast. It is one of the factory produced 3f ploughs originally turning 8” furrows, but has had spacers fitted so it now turns wider furrows. These in due course will be removed. Over all it is reasonable condition, but, as visible from the photographs, it is missing two discs and skimmers. It also requires a new point. From the wear on the metal and remaining disc it appears to have done very little work. 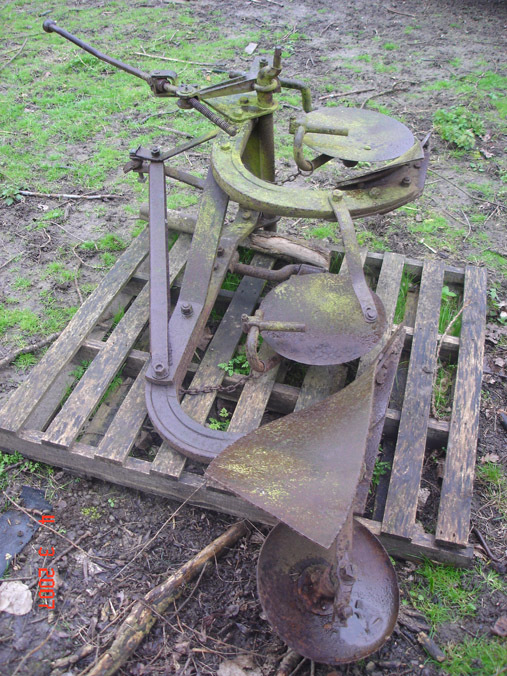 The Subsoiler was purchased from well-known Welsh Ferguson Collector Richard Bateman through the FOFH Market Place in September 2006. It was repainted by Richard prior to being sold and is in good overall condition. However, the point is worn, but it is difficult to find replacements and we will at some point have to look into making one (for work rather than display).